Beaverton, one of Money magazine’s “100 best places to live” in 2010, stands as the second most populous city in the Portland area. The central hub of the “Silicon Forest,” Beaverton is home to over 200 tech companies, including Intel and Tektronix. 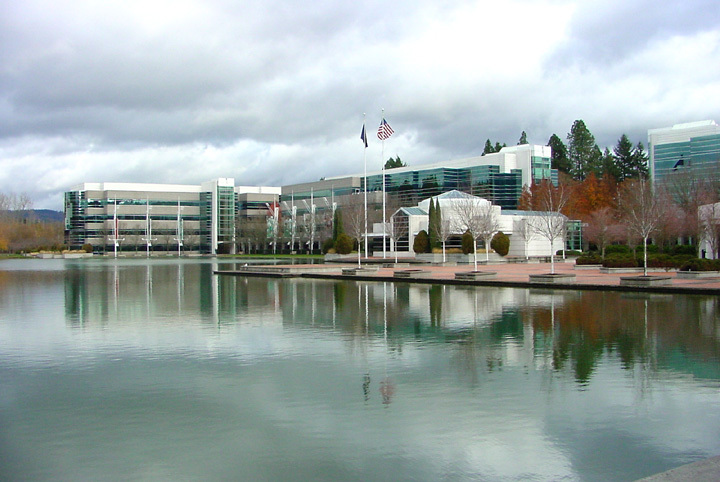 It is also home to the Nike World Headquarters, which employs over 44,000 people worldwide. As a hotspot for many major corporations, Beaverton has experienced an economic boom in the past two decades, which has made it one of the most popular areas to move in Oregon. Ideally located between the Portland Metro Area and the rolling western farmlands to the east of the Oregon Coast Range, Beaverton offers an array of recreational opportunities for its residents with over 100 parks, 30 miles of hiking trails, and 25 miles of bike paths. 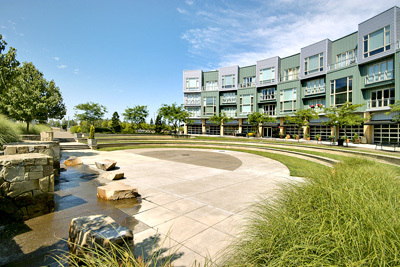 The newly-constructed Cedar Hills Crossing is a shopping hotspot that includes a number of shopping options for residents, including Best Buy, The Apple Store, and the Portland landmark Powell’s Books. Whether you prefer the coast or the mountains, city or country, rain or shine, Beaverton has countless things to offer its residents. There are many different neighborhood associations scattered throughout Beaverton. These neighborhoods include Five Oaks, Triple Creek, Central Beaverton, West Slope, West Beaverton, Highland, Vose, Denney Whitford, Raleigh West, Sexton Mountain, South Beaverton, Greenway and Neighbors Southwest. The City of Beaverton hosts an array of events in town throughout the year. Each summer the Beaverton Farmers’ Market, the single largest, all-agricultural market in the state, comes to town on the weekends with 15,000-20,000 visitors every week. Also during the summer the annual Beaverton International Celebration is held to showcase the diverse cultural affairs the city has to offer. The Celebration Day and Parade is held in Old Town each year as a fun, family-friendly way to spend a September afternoon. Elementary Schools: Aloha Park, Barnes, Beaver Acres, Bethany, Bonny Slope, Cedar Mill, Chehalem, Cooper Mountain, Elmonica, Errol Hassell, Findley, Fir Grove, Greenway, Hazeldale, Hiteon, Jacob Wismer, Kinnaman, McKay, McKinley, Montclair, Nancy Ryles, Oak Hill, Raleigh Hills, Raleigh Park, Ridgewood, Rock Creek, Scholls Heights, Sexton Mountain, Springville, Terra Linda, Vose, West Tualatin View, and William Walker. Middle Schools: Cedar Park, Conestoga, Five Oaks, highland Park, Meadow Park, Mountain View, Stoller, Whitford. High Schools: Aloha, Beaverton, Jesuit, Southridge, Sunset, and Westview.